The book Images of America: Ford’s Theatre features a photograph of the Old Capitol Prison, a notorious and oft-used penitentiary during the Civil War. The building earned its name when Congress met there for four years during the repair of the Capitol from damage received during the War of 1812. The prison building later became a boarding house and hotel, and was transformed again during the Civil War to house people arrested on criminal charges—such as prostitution—as well as prisoners of war and those suspected of disloyalty. But why is this building featured in a book about the history of Ford’s Theatre, besides having somewhat similar architectural features? In 1865, the Old Capitol Prison gained an association with the Lincoln assassination when it lodged several (although not all) suspected Lincoln assassination conspirators. 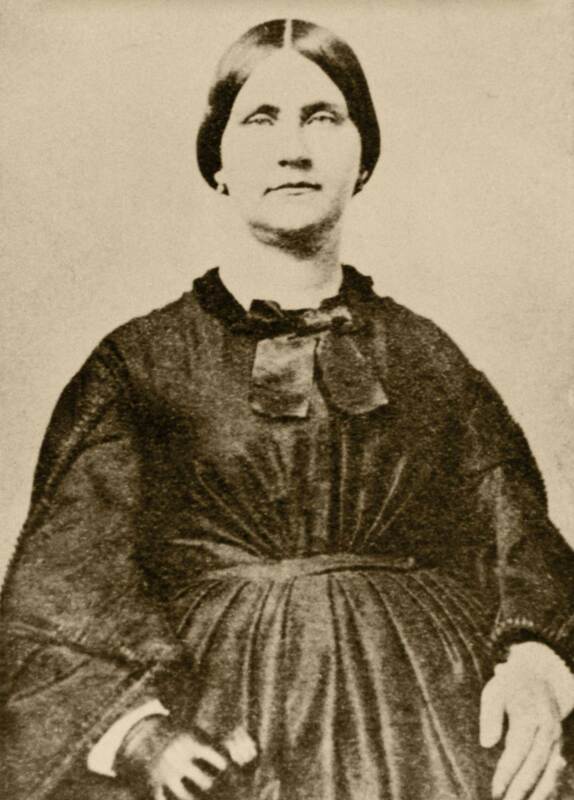 Mary Surratt was the first woman executed by the United States government. Most famous among this group of inmates were Dr. Samuel Mudd and Mary Surratt, both of whom were tried and found guilty in the assassination conspiracy. Dr. Mudd escaped the death penalty by one vote but spent the next four years imprisoned at Fort Jefferson in the Dry Tortugas, southwest of Florida. Mary Surratt was less fortunate, becoming the first woman to be executed by the federal government on July 7, 1865. John T. Ford, the owner of Ford’s Theatre, was visiting Richmond, Virginia, on April 14, 1865. Detectives found this absence questionable enough to warrant not only his arrest, but that of his two brothers, Harry and James. The three men remained incarcerated in the Old Capitol Prison from April 18 to May 27, at which point they were deemed innocent and released. Louis J. Weichmann often stayed at the Surratt Boarding House, putting him in contact with that family and John Wilkes Booth. Police arrested him, believing him to be a potential accomplice given his association with Booth, but he struck a deal and became a star witness for the prosecution instead. His testimony helped seal the fate of Mary Surratt. 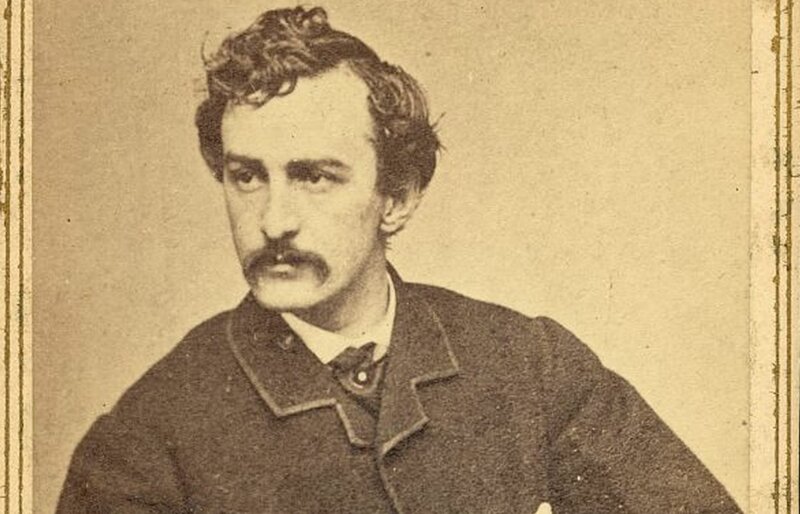 Junius Brutus Booth, Jr., John Wilkes Booth’s brother, was also arrested and brought from Philadelphia to Washington for incarceration shortly after the assassination. He faced interrogation but was soon released once it became clear he had no connections to the murder of President Lincoln. An 1867 account about the prison and its inmates tells of the imprisonment of an actress Madame S., who occasionally worked with Booth on stage. It also includes the story of Miss Lewis, who had no connections to Booth’s conspirators but who refused to drape her mother’s house in mourning fabric for the president. It might appear from these descriptions that everyone in Washington City was a suspect in April 1865, and that the notion of innocent until proven guilty became guilty until proven innocent. In 1867, the government sold the Old Capitol Prison to George T. Brown, who transformed the space into row housing, called Trumbull’s Row. In 1929, the structure was razed to make way for a new home for the Supreme Court (housed inside the Capitol up to that point). Perhaps it is fitting that this home for prisoners—some of whom fell victim to a seemingly random sweep—is now a home for justice. For further reading, check out the details of the Lincoln assassination trial, a 1911 book titled Prison Life in the Old Capitol and Reminiscences of the Civil War, or this 1878 essay by Colonel Newton T. Colby about the prison. Anna Snyder is former digital public history intern at Ford’s Theatre.